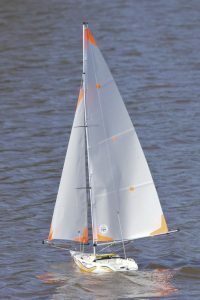 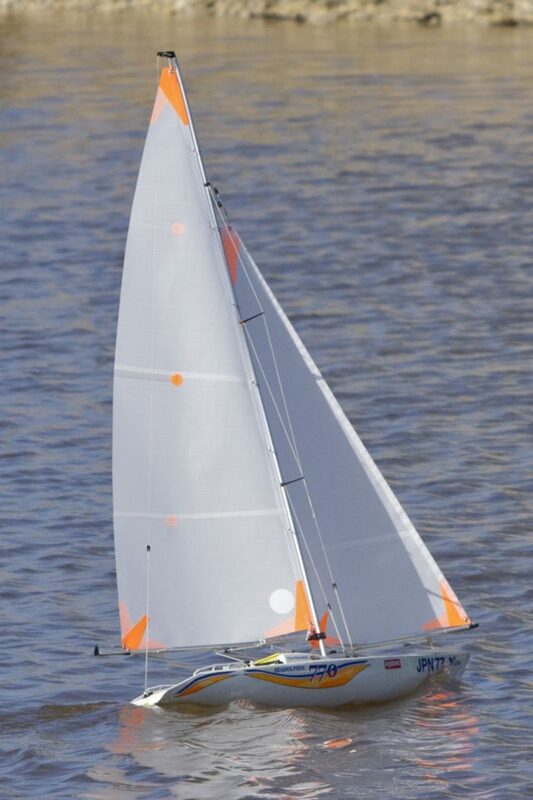 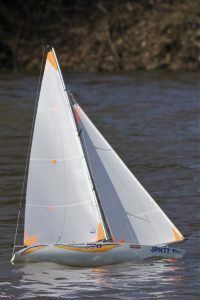 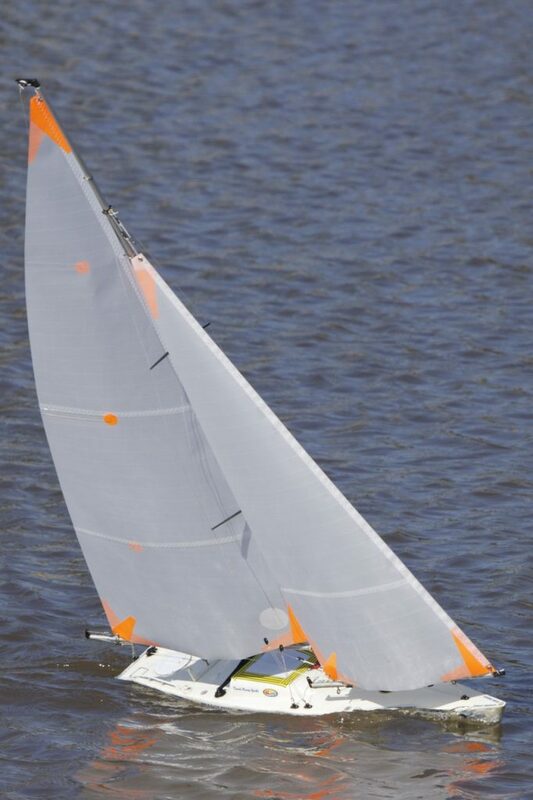 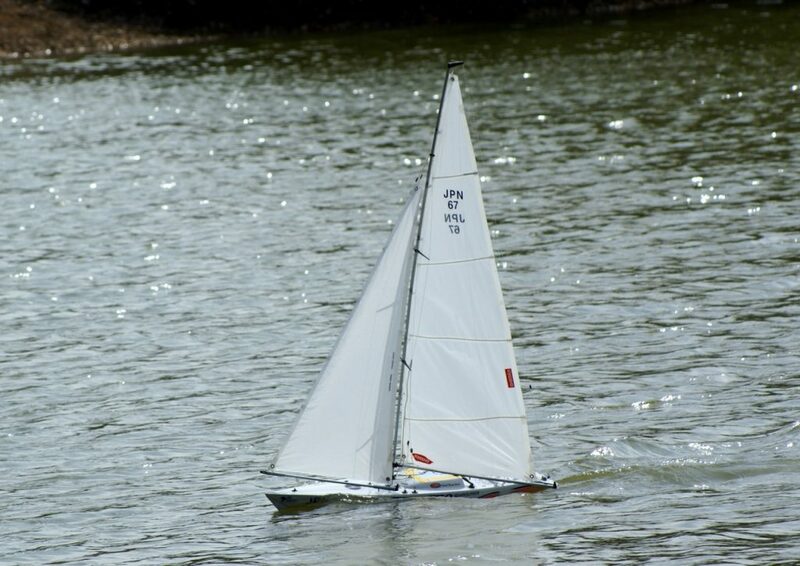 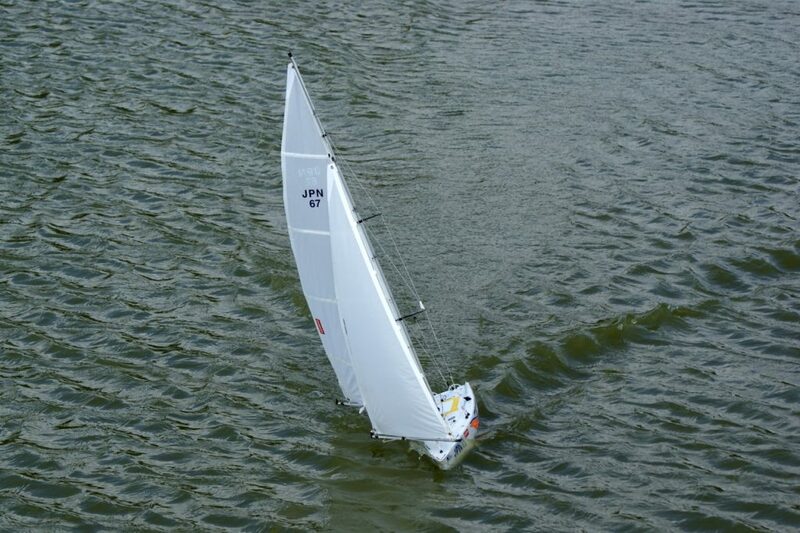 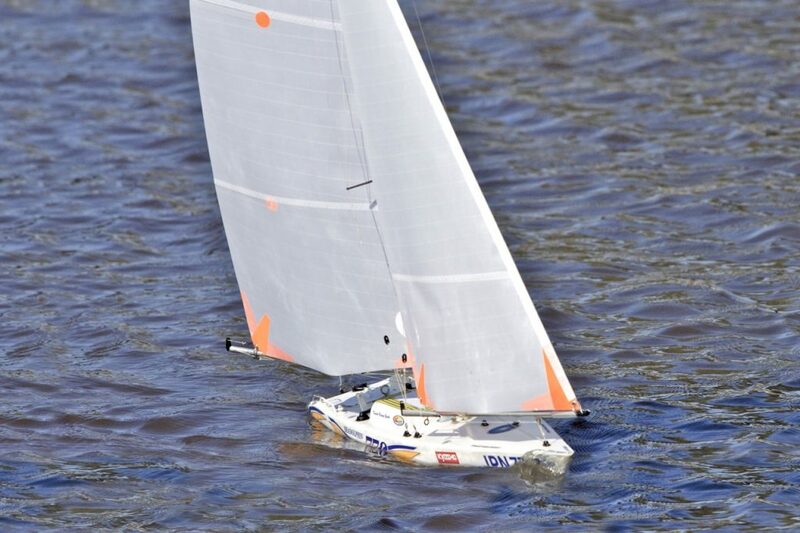 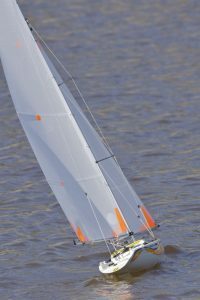 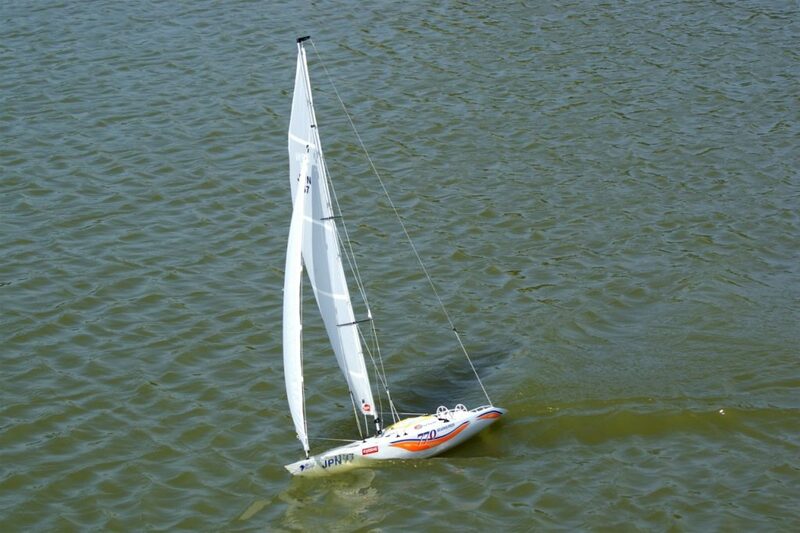 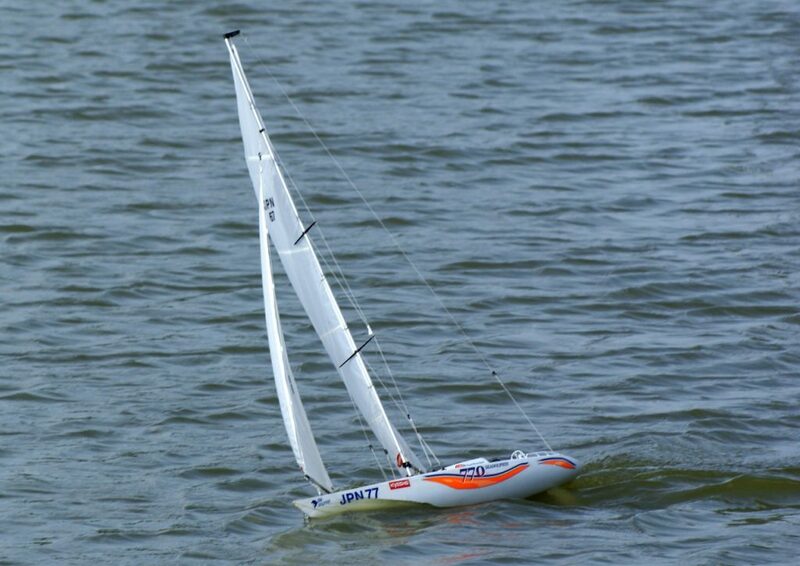 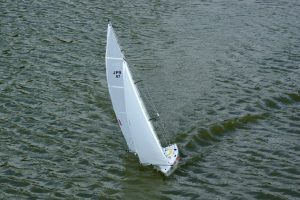 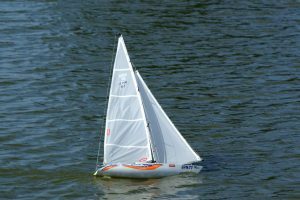 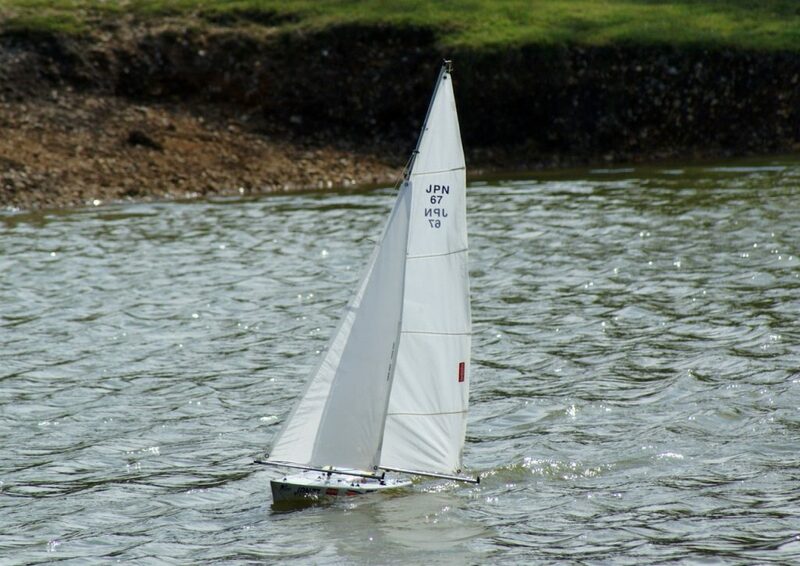 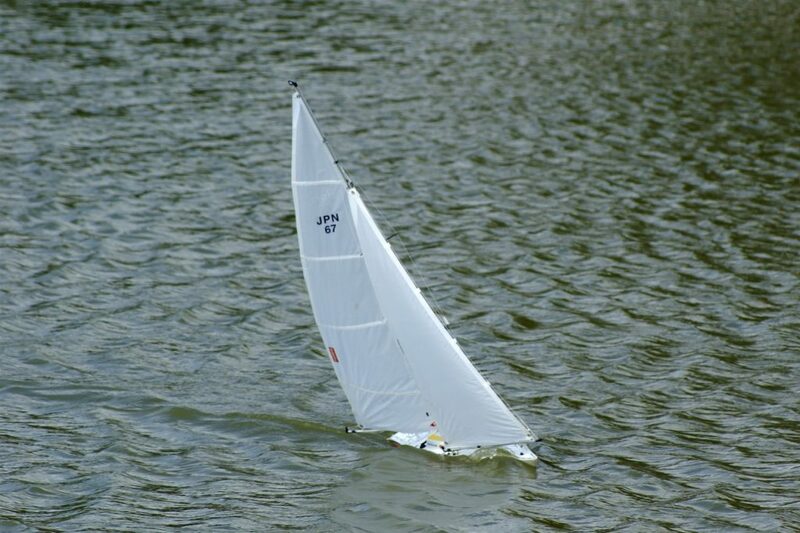 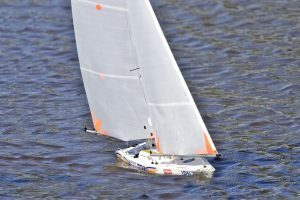 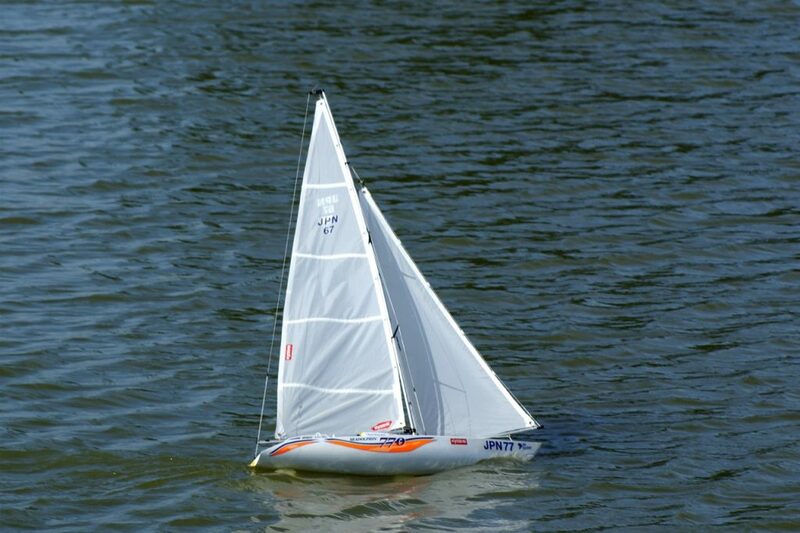 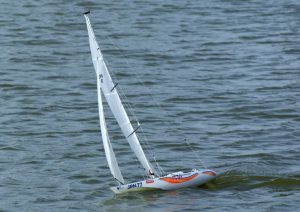 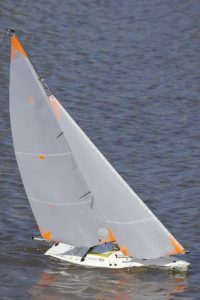 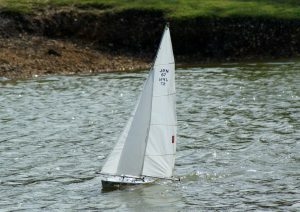 Sea Dolphin 770; model: Peter Taylor. 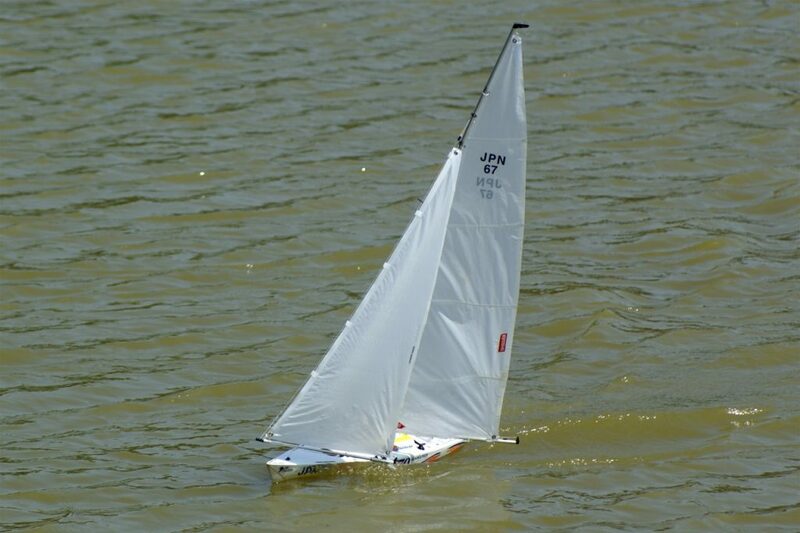 This was the first kit I built. 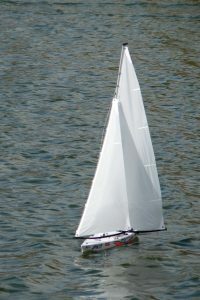 Really very easy to build, but still challenging if you haven’t done something like it before. Like “how do I get that bit of rigging through the hull from here to there?”. 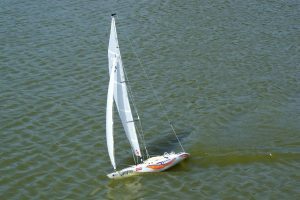 The Sea Dolphin is great in that it will sail well, even in heavy winds. 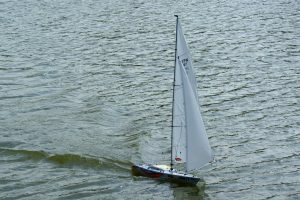 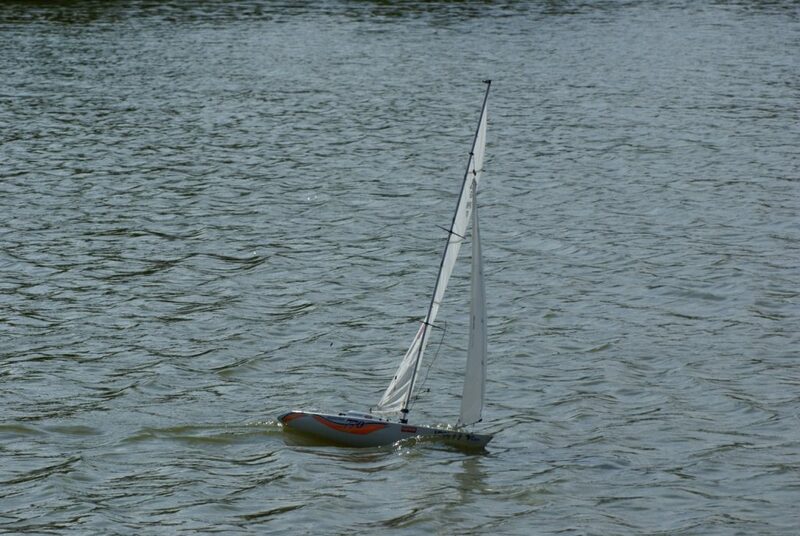 As an experienced dinghy sailor I’m used to sailing over-powered boats and in strong winds I use the same techniques with the Sea Dolphin. 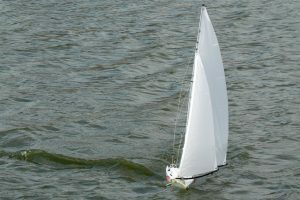 For example, when beating upwind, feathering up into a gust to avoid being laid flat by the wind (and getting an upwind advantage). However, she does have a tendancy to bury her bow (“pitchpole”) when running down wind. The very early “National 12” racing dinghies did the same and the remedy was to get the weight of yourself, and the crew, as far aft as possible, hanging over the transom! 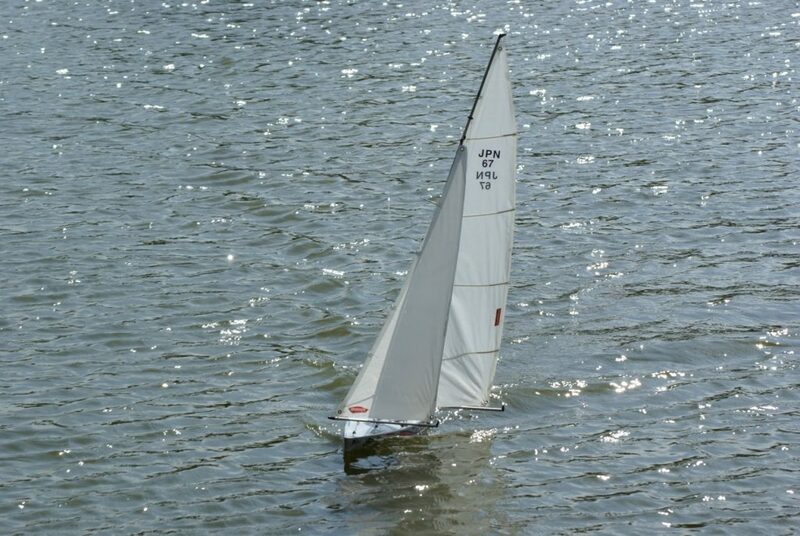 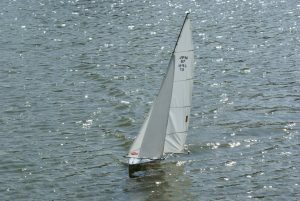 With the model, the only solution I’ve found is to constantly zig-zag the rudder when on a down wind run under strong winds. This seems to keep the bow lifted. 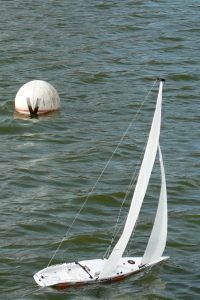 I modified the original (kit) sails by adding full width sail battens. 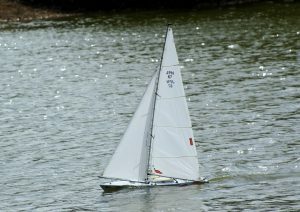 Eventually (after a number of years hard use) the sail cloth became fragile due to the effects of sunshine on the nylon. 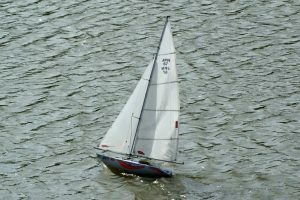 The boat now proudly sports some made-to-order Nylet sails!